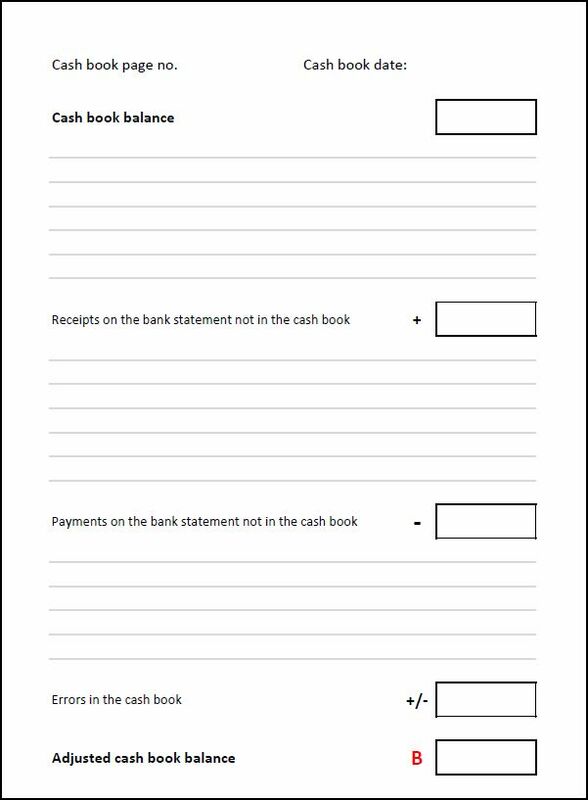 This bank reconciliation template will help a business to reconcile the balance on the bank statement with the balance in the cash book. Our tutorial on bank reconciliations gives full details about how to prepare a bank reconciliation statement for a small business. The PDF file available for download below, will help you to carry out your own bank reconciliation. 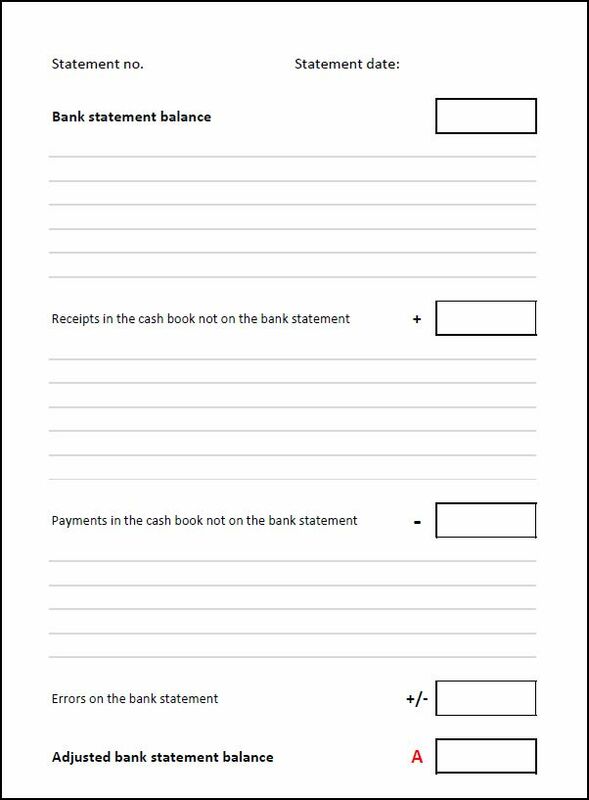 The bank reconciliation template is available for download in PDF format by following the link below. Users use this accounting template at their own risk. We make no warranty or representation as to its accuracy and we are covered by the terms of our legal disclaimer, which you are deemed to have read. This is an example of an accounting format that you might use. It is purely illustrative. This is not intended to reflect general standards or targets for any particular company or sector. If you do spot a mistake in the template, please let us know and we will try to fix it.